Denmark and Japan, despite their cultural and geographic differences, have so much in common. Both cultures appreciate fine style, design and minimalism combined with practical usage. Here's a fine marriage of Denmark and Japan. 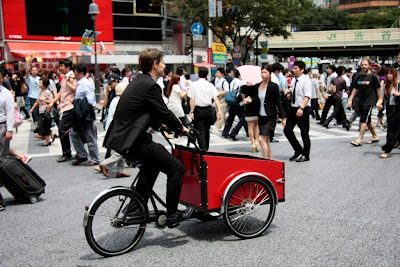 A Velorbis Scrap Deluxe in action in Tokyo. Ditto. This time in Shibuya Crossing. And a Christiania Bike navigating the Shibuya Crossing. Love these shots from Tokyo. Chick's cool. I love seeing shots from Tokyo! 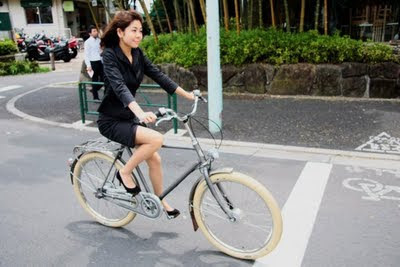 There isn't a Tokyo Cycle Chic site, is there? What a great pair. I appreciate the minimalism in both cultures. Been to Denmark, but can't wait to visit Nippon. 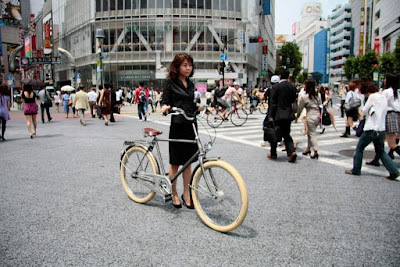 Bike-culture looks fantastic!